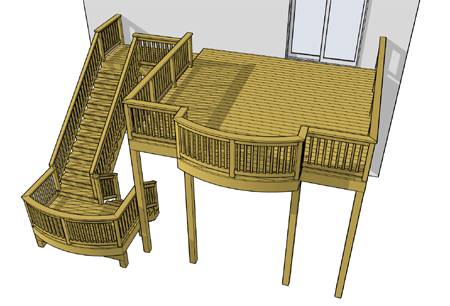 This deck will be unlike any other in your neighborhood. 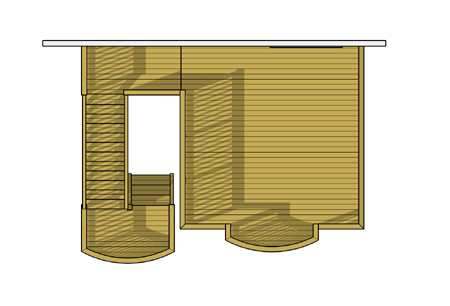 The 16'x 16' main deck features an interesting 8' wide curved bay projection. This design element is symetrically positioned to the center of the deck providing a great vantage point. A landing leads to a switchback staircase that splits at a landing which also uses an 8' curve face. 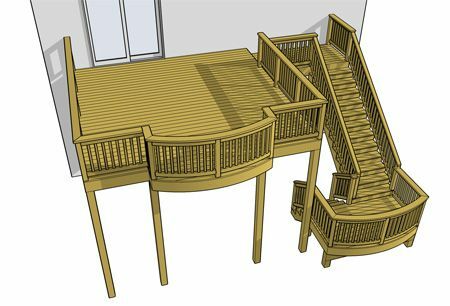 This deck design uses formal elements to present a classy and fun outdoor living space.